Jim Panagas is a Boston-based marketing and communications professional with deep experience managing major brands, hiring and managing agencies, and running his own business. 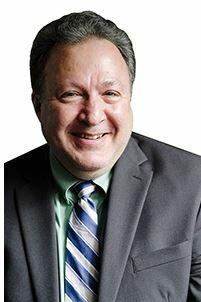 He believes companies should take full advantage of the full marketing communications mix — from video content to webcasting, social media, PR, and analyst relations — to connect with key audiences, communicate better than their competitors, and achieve market leadership. Please share some insights on counseling small business owners. Often times, small and emerging businesses simply don’t have a marketing or communications professional on board yet. So, you’re often dealing with a point of contact who doesn’t have a lot of experience in this area. He or she may not know the right questions to ask and what is appropriate to spend at this point in time, and may unrealistically expect immediate results (as in closed sales opportunities). What is your approach for counseling small business owners in the technology industry in the strategic use of social media and PR? My clients reside in the technology space. I tend to point them toward LinkedIn and Twitter. It is important that a company builds and maintains a company page, sends out announcements on a regular basis, and engages in online discussions. The richer your content (such as including a photo, video, survey, study, etc. ), the more likely people will read what you have to say, comment, and perhaps forward that information to their friends and colleagues. When you’re sharing information on LinkedIn, there is an option to simultaneously share that same information with your Twitter audience, which I strongly recommend. That doesn’t mean that you can’t put some exclusive content on LinkedIn and/or some exclusive content on Twitter. It just means that, in general, you want to ensure that comparable information is being shared on both platforms. Social media is key to getting people to know about and talk about your company in the short term. What should businesses look for when hiring a digital marketing expert? It makes the most sense for a small business to engage a marketing consultant or agency rather than hiring marketing staff right out of the gate. This is particularly important because the marketing industry is in a period of extreme change at the moment and marketers tend to fall into one of two camps: “classical marketers” i.e. people who can write, design, strategize and come up with innovative ways to generate visibility versus “digital marketers” who are primarily trained to run a marketing or sales automation platform. If a business is looking for someone to run a particular platform such as Marketo, Pardot, or even Salesforce.com, it probably needs a person or agency with more “digital” expertise. However, a business needs to crawl before it can walk, and that early formative communication is much more likely to be developed by a classical marketer. I don’t mean to overstate this schism, but it exists and the delta between them is getting wider. I cannot overemphasize the importance of these small and emerging business to engage a high quality writer. That way, they are building on a solid foundation. What are the current social media strategies that businesses should take advantage of? To win in today’s marketplace, it’s about quality of communication – not quantity. It’s more important to have senior, influential people within the organization communicating about your brand through social media channels rather than having a small army of people across your company – people who are not trained writers – sending out content. Again, it’s about quality of content, not quantity. Increase use of video content. If you’re having a 5-minute discussion with a member of your management team…or a subject matter expert…or a partner, you should capture that conversation on video and share it through social media channels. People are used to watching video. They are more likely to remember something that they heard or saw in a video clip than something that they read. Update your website with compelling content. List your address, phone number, email address, etc., so that people can easily contact your organization. Make it EASY for people to contact your company. Your leadership team should be clearly identified on the site with photos and bios. Feature downloadable assets such as data sheets and success stories. Webinars are a great low cost and broad vehicle for attracting qualified prospects. In addition to being shared via social media, video content can also find a home on a company’s website. If the videos are short – less than 1-2 minutes in duration – website visitors are very likely to click on them. Make sure you have a mailing list that website visitors can join, so that you can stay engaged with them over time and they can keep track of what’s happening at your business. The bottom line: find the right professionals. Find marketers and communicators who think like you do, who understand exactly what your business does and recognize why it’s important. If you’re in the technology space, look for marketing, communications, and PR professionals who have done a lot of work for technology companies over time. Ask about their background and credentials. Read their references. Take the time to look at samples of their work. Hire the right person or agency, and great things can happen. 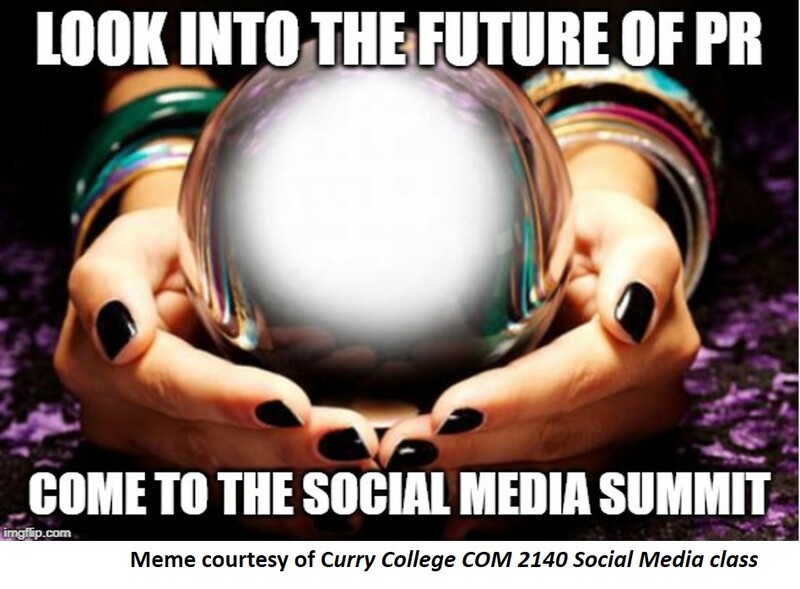 To find out more about social media strategies, attend our 7th Annual Social Media Summit, May 3, at Bentley University. You’ll hear from some of the region’s most forward-thinking agencies, organizations and content creators!